Railway Bell in Brighton has an outside area. The pub has a smoking area, it has free WiFi. Railway Bell shows football on TV. The pub has Sky Sports, it has terrestrial TV. 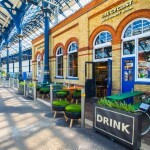 The Refreshment Bar and Kitchen is a perfect place to have a delicious meal and a drink whilst waiting for your train in Brighton Station. 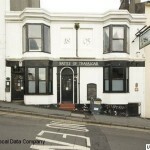 Battle Of Trafalgar in Brighton serves food. The pub has an outside area, it serves real ale. Battle Of Trafalgar has a smoking area. The pub has free WiFi, it is a member of Cask Marque. Evening Star in Brighton serves real ale. 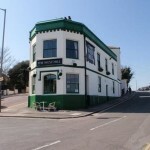 Nightingale Room in Brighton has a function room that can be booked. The pub has an outside area, it has free WiFi. Nightingale Room shows football on TV. The pub has Sky Sports, it has terrestrial TV. 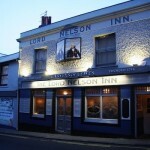 The Lord Nelson is a traditional pub dating back to 1848. We offer a wide range of Harvey's ales together with a team of friendly staff and excellent pub grub. The perfect mix for a great afternoon or evening out. Duke Of Wellington in Brighton has a beer garden. The pub has disabled facilities, it gives a warm welcome to dogs and their owners. Duke Of Wellington is a family friendly pub. The pub has an outside area, it serves real ale. Duke Of Wellington has free WiFi. The pub has a dart board, it has a pool table. Duke Of Wellington shows football on TV. The pub has Sky Sports, it has terrestrial TV. 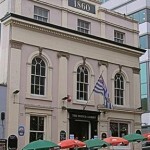 Duke Of Wellington is a member of Cask Marque. Eddy in Brighton has free WiFi. The pub shows football on TV, it has terrestrial TV. 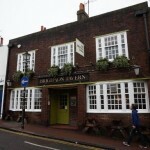 Brighton Tavern in Brighton has an outside area. The pub shows football on TV, it has terrestrial TV. Office in Brighton has a beer garden. The pub has an outside area, it has a smoking area. Office has free WiFi. The pub shows football on TV, it has terrestrial TV. Above Audio in Brighton has a beer garden. The pub has an outside area. Foundry in Brighton has free WiFi.